In 1985, I remember listening to a radio programme about The Who and the concluding bit stated that the death of Keith Moon in 1979 marked the end of The Who as a band. 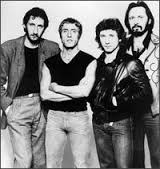 The programme went on to admit that the band would continue to tour and that Roger Daltrey, Pete Townsend and John Entwistle would all have successful solo projects, however, The Who as a band, were gone. My reaction was then as it is now, “What about the 1981 album with Kenney Jones?” For me, “Face Dances” has always been a good album but it’s Kenney Jones I feel sorry for. Because he was the replacement drummer for Moon, he didn’t get the respect he deserves. I wouldn’t be at all surprised if Jones has been relegated to a pub trivia question and that’s not fair on him. 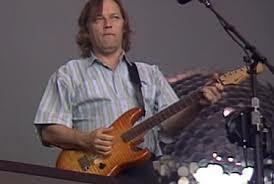 It is the exact same thing I said about Jimmy Farrar, had been Jones made it with another band, his drumming efforts would have been more appreciated. That said, the radio programme also stated that after Moon’s death, The Who’s sixties hard rock lyrics and rebelliousness as well as their seventies creativity were gone as well. Not entirely true! 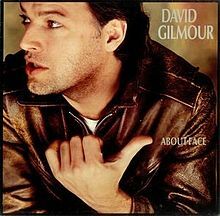 When I listen to “Face Dances” I hear a little bit of both of these elements in the album. While there isn’t the crashing hard sound that they made famous in classics like “My Generation,” the elements of hard rock are definitely there in songs like “Don’t Let Go the Coat” and “Another Tricky Day” to name two. Plus, the big single from the album, “You Better, You Bet” definitely has reminds me of that creativity that radio programme praised them for over the likes of the rock opera “Tommy.” Whichever way you want to view “Face Dances” the one thing I can say about it throughout is that you know that it is definitely The Who on this album. Their trademark truly resonates on it. 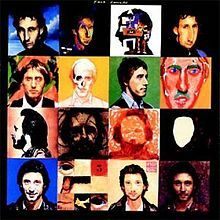 Hopefully, I have provided sufficient evidence that the radio programme was wrong in regards to The Who being finished in 1979 because in 1981, they put out one very good album in “Face Dances.” It showed the world that they were still a force to be reckoned with in the music world. Thinking of Keith Moon, his passing opened the way for the many drummers who would join him since. John Bonham would follow him a year later. I believe that Moon, Bonham, along with the likes of Cozy Powell, Levon Helm and Razzle are drumming away together in a better place. The Who were considered the comeback story of 1978. They hadn’t put an album out in three years and all the band members were engaged in solo projects. 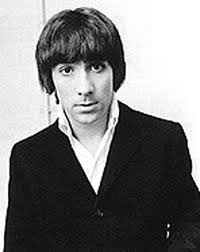 Furthermore, drummer Keith Moon was having battles with drug and alcohol addiction, a battle that he would eventually lose. I am reminded of the this album every time I see CSI Las Vegas on TV as they use the title track for the title sequences of the show. But for me, it is the lyrics of the song that do it for me. While I’ve never woken up in a Soho doorway, I know of people who have. I have been to parties in London and had to make my way home on the underground with a little bit of a sore head and asking myself that question. With “Who Are You” the Who seemed to have returned to their more traditional blues/hard rock sound. In the mid 70s, they experimented with different creative thoughts, although I really do love “Tommy” and “Pinball Wizard” is one of my all time Who favourites. But this album reminds me more of the early days when they had a more aggressive harder rock edge. Keith Moon’s tragic death shortly after the release of this album would overshadow the success that “Who Are You” would have. The album would reach number 2 in the US and number 6 in the UK and showed that The Who were definitely back and in great form.